Or cleaning up the kitchen, yet again. So on days like this, I’ll pull out the slow cooker. It’s almost like cheating it’s so easy. 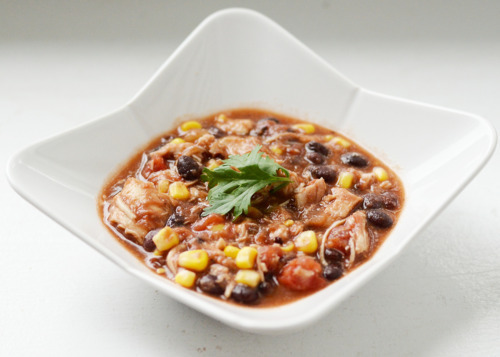 My friend, Ashley, gave me this recipe for Mexican Chicken Chili over 4 years ago and we still use it a good bit, especially when it’s cooler outside. I hope you like it as much as my family does. Put everything in the crock pot and cook on low for 6-8 hours. Take the chicken out and pull apart or cut to shred. Then put it back in the crock pot and stir. Add greek yogurt, cilantro, advacado, and cheese (if desired). It’s even better as leftovers so make plenty for lunch the next day or dinner again later in the week!